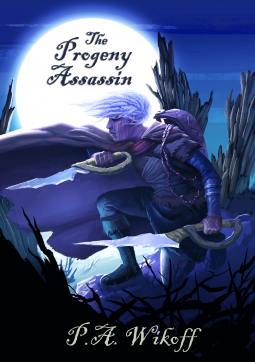 The Progeny Assassin: A Tarnished Lands Story Lara is a young and deadly feathered-folk who protects what is left of a dying land. Burnt-out trees and ashen soil are all that remain of the forgotten forest. After years of becoming complacent, Lara seeks anything to break the routine. And when her master goes missing, she finds the adventure she's been longing for, only it isn't at all as she expected. This the second story in The Tarnished Lands series. It can be read without reading the first book, "The Harrowed Half-Breed." About The Tarnished Lands: In the aftermath of the utopian regime that ruled for over a millennium, famine, chaos, murder and deceit reign in lieu of balance. The pendulum now swings in favor of disorder. The fierce strong-arm the weak, cowards lurk in the shadows like rats, and the wicked take everything that’s left over. This is no longer a place for good intentions; this is a place of survival.